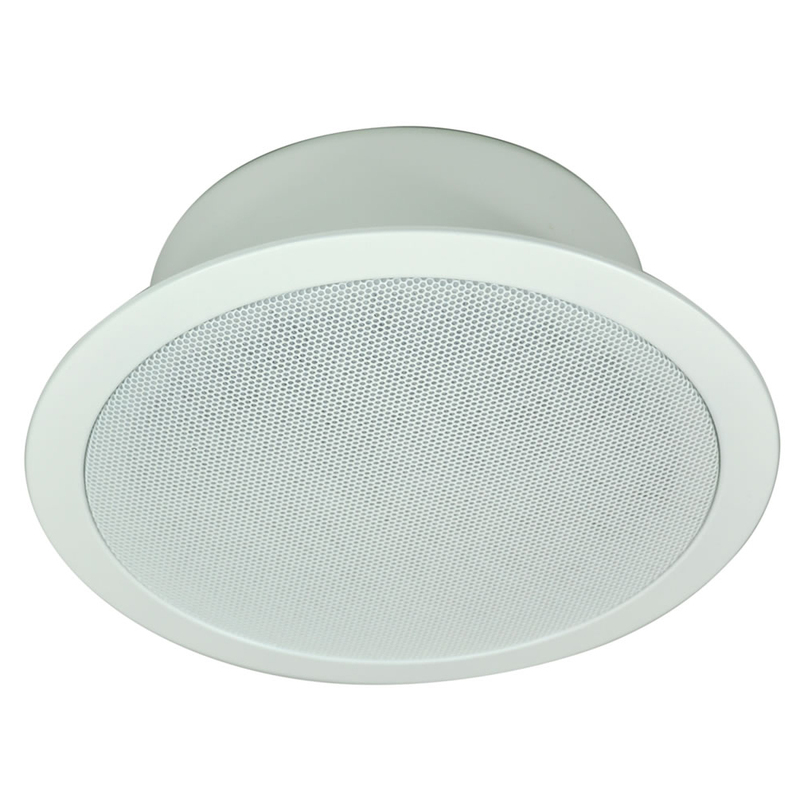 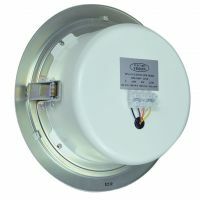 Professional 10 Watt flush-fitting speaker for use in false ceiling systems. Made from metal with a round shaped grill and a fitted 100 V line transformer. 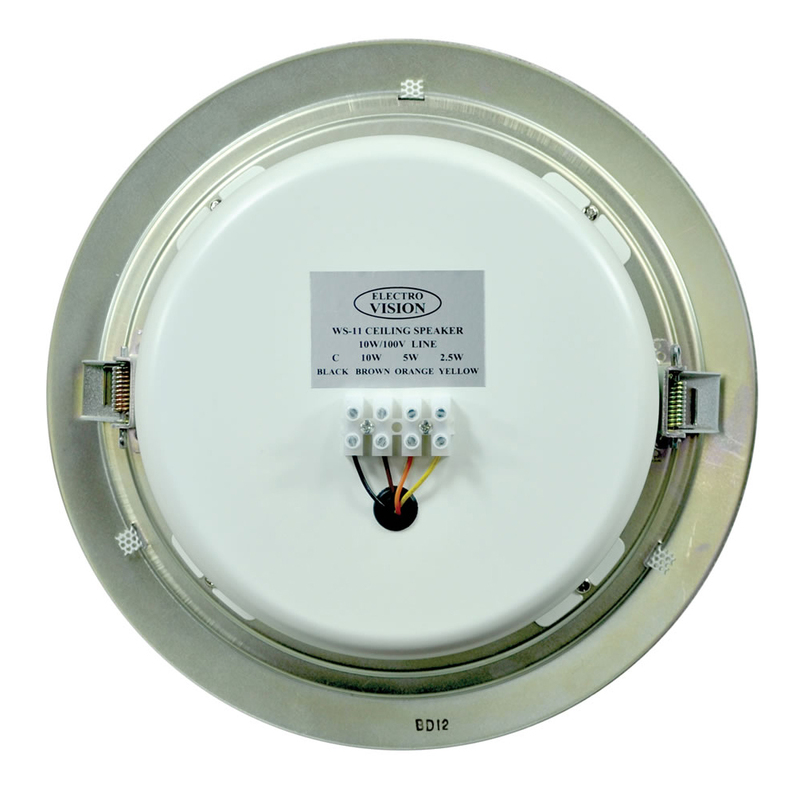 Factory fitted with a fire dome.